Romania is a very affordable location for planning a dental trip, both for dental treatments and for the accommodation and transportation. In recent years, the country has become more popular among tourists who plan to solve various dental issues while on vacation. 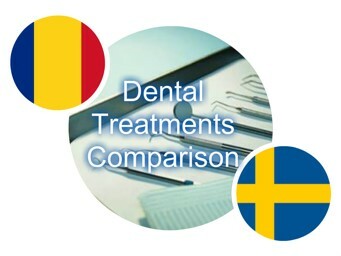 Prices for dental treatments in Romania are more affordable compared to many West-European countries. However, lower prices are not the equivalent of low-quality materials. 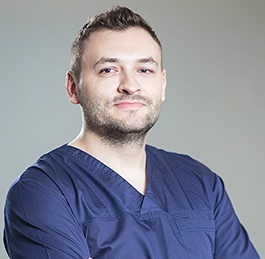 Dentists in Bucharest work closely with dental technicians and use quality materials for dental prosthetics. At a dental clinic in Stockholm, an implant anchored crown can start from 900 euros. 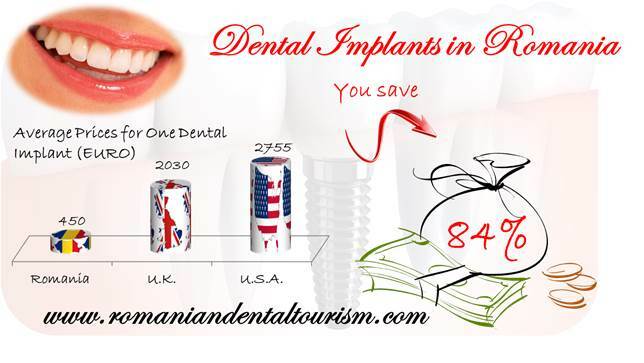 At our dental clinic in Bucharest, the price for dental implants starts at 450 euros. Crowns and other prosthetic devices are more affordable in Romania, as much as 350 euros for crowns (various materials). Porcelain dental crowns in Sweden can start from 330 euros in Stockholm. Teeth whitening, a very popular cosmetic dental procedure can start at as much as 480 euros at a dental clinic in Stockholm. In Romania, the price is much lower, at 230 in Bucharest. Romania is easily accessible by plane from Sweden and a number of international low-cost airline companies have frequent flights to and from Bucharest. If you talk to one of our dentists in advance, you can plan your dental trip ahead and benefit from important savings for flying to Bucharest. Accommodation is affordable in Romania’s capital. You can choose to stay at a hotel, at an average price per night of about 40 euros or stay at a hostel, right in the city’s Old Centre, for much less. Various options are available for dining, and many restaurants have an international cuisine. Tourists who want to taste traditional Romanian food can dine at Carul cu Bere in the Old Town or other Romanian restaurants. If you plan a lengthier dental trip, you can spend a few days outside Bucharest. Transylvania has a charming allure and not only because of Bram Stoker’s Dracula. If you travel by car or train you will see the true beauty of our mountains, forests, and villages. You can spend a weekend in Sibiu or Brasov for a change of scenery and a different Romanian experience. For more details about traveling to Romania and the dental treatments offered by our dentists here, you can contact our dental clinic.